Over the last three years, projects that address the relationships between carbon and forests have moved from the sidelines of international climate action to center field. Do You Know What Your Forest Carbon Offsets Are? David Nowak of the USDA Forest Service Northern Research Station presents this video short course discussing how trees in cities provide important ecosystem services and help to reduce the urban heat island effect and lower building energy use. Luke Nave from the University of Michigan Biological Station presents this video short course on the fact that the largest terrestrial carbon pool is contained in soils. Forest Management Options for Carbon Sequestration - Considerations in the Eastern U.S.
Richard Birdsey of the USDA Forest Service Northern Research Station provides the Eastern U.S. forest perspective on carbon sequestration and examples of forest carbon management projects in this video short course. Bernard Bormann of the USDA Forest Service Pacific Northwest Research Station presents this video short course on the western U.S. perspective on forest management for carbon sequestration, and the above and below- ground carbon consequences of different management strategies. Forests and Carbon - Trends and Data for the U.S. In this video short course you can get the scoop on forestland carbon storage in the United States, which helps offset approximately 12% of US carbon emissions from fossil fuels. Andrea Tuttle presents this video short course ont forest carbon markets and how these can be used to capture and hold carbon on the landscape. The Guide to Environmental Markets for Farmers and Ranchers, produced by the American Farmland Trust (AFT), provides an overview of available market opportunities for environmental credits and services, how farmers and ranchers can get involved in them, and ways to encourage their continued growth. New innovations in payments for watershed services (PWS) have emerged in the past decade and are pointing the way toward watershed protection approaches that might effectively complement existing government conservation programs and incentives for rural landowners. The creation of tradable credits for the development or preservation of ecosystem services has emerged as a method to provide such payments. The purpose of the NRCS Natural Resource Credit Trading Reference is to provide an understanding of how environmental credit trading can be used to increase the provision of conservation and ecosystem services by agriculture. Payments for forest carbon sequestration are an emerging opportunity for small forest owners to earn additional income, and in turn to sustain both the economic and ecological values of the Northern Forest. Every 23 seconds a fire erupts in the United States, according to the National Fire Protection Association, and, in 2011 alone, there were over 1.3 million fires that required fire department intervention. Not only are firefighters brave, they are also very busy! Firefighters often begin their careers by volunteering at local firehouses, joining the junior firefighter league or undergoing training through municipal fire companies. They might also choose to pursue a program in fire science, a path that could end with an associate or bachelor’s degree. The following resources are meant to help aspiring firefighters understand what the job requires, plan for the education and training they will undergo and keep abreast of the field with the latest research, publications and blogs from firefighters who are in the line of duty every day. Approximately 140 students complete fire science programs every year in Arkansas at one of the state’s three accredited fire science schools. A significant number of these fire science graduates come out of the Arkansas Fire Training Academy at Southern Arkansas University Tech. Although the number of graduating fire science students is relatively low, their job prospects are wide-ranging. In addition to firefighting and fire service administration, potential career opportunities also include inspecting structures for fire safety or analyzing and investigating the causes of fires. Fire science education in Arkansas is limited to certificates and associate degrees. Programs range in focus from fire and emergency response to fire science technology to fire services management. Degree programs explore the knowledge and skills that aspiring fire professionals need to enter the workforce, while also offering preparation for specialized career choices. LANDFIRE is a program that provides over 20 national geo-spatial layers (e.g. vegetation, fuel, disturbance, etc. ), databases, and ecological models that are available to the public for the US and insular areas. You can view and download products which are updated every two years to reflect change on the landscape over time. These data provide information for regional and national landscape strategic planning for fire and natural resource management activities. Keep tabs on wildfire activity via this U.S. Geological Survey website, GeoMAC. Point and Click to Track Wildfire Activity in the United States. Wildfires continue to burn across much of the western United States, and 39,000 fires have scorched 5,899,245 acres this year as of August 7, 2017 according to the National Interagency Fire Center. Cheatgrass (Bromus tectorum), also known as downy brome, is an annual plant native to Eurasia. This aggressive, invasive weed was originally introduced into North America through soils brought by oceangoing vessels and is now a dominant species in the Intermountain West. Creating a defensible space around your home is one of the most important and effective steps you can take to protect you, your family and your home from catastrophic wildfire. Colorado’s population is growing, its urban areas are rapidly expanding, and people are building more homes in what was once natural forest and brushlands. The information contained in this document is for use by individual landowners to help reduce wildfire risk on their property. In this guide, you’ll read about steps you can take to protect your property from wildfire. A regional assessment of the ecological effects of chipping and mastication fuels reduction and forest restoration treatments. Over the past several years, fire managers have increased their use of mastication treatments, the on-site disposal of shrubs and small-diameter trees through chipping and shredding. Mastication of forest biomass for wildfire hazard reduction and forest health improvement has expanded dramatically across the state; the guidelines below focus on mastication techniques. Is Your Property Safe From Wildfire? Fire is an important natural process of forests and rangelands. But while fire plays an important role in the ecology of these areas, it can be devastating if homes, valuable timber, and range areas are destroyed. Hydrophobic soils repel water. A thin layer of soil at or below the mineral soil surface can become hydrophobic after intense heating. The hydrophobic layer is the result of a waxy substance that is derived from plant material burned during a hot fire. Wildfire is a striking story, often filled with the drama of danger. But there's a narrative missing from many of the reports: We need more controlled fires to prevent these runaway infernos, said fire historian and Arizona State University Regents’ Professor Stephen Pyne. The National Cohesive Wildland Fire Management Strategy (Cohesive Strategy) is a bold, new national approach to the increasingly complex reality of wildland fire and land management, and fire response. The Western Regional Action Plan is part of the culmination of a three-year effort put into motion by the Federal Land Assistance, Management and Enhancement Act of 2009 (FLAME Act). Rachel Loehman of the USFS Rocky Mountain Research Station presents this video short course on how climate, fire and vegetation are closely linked in western ecosystems and discusses how climate change might affect vegetation by changing wildfire disturbance patterns. Greenleaf Forestry and Wood Products, Inc. Many people don’t realize that they face serious wildfire danger. But if you live in the foothills, grasslands or mountains of Colorado, you are at risk! To be FireWise, you must carry out certain fire-protection measures before a fire even starts. This guide is designed to help leaders, planners, emergency professionals, and citizens learn the best approaches and programs to help their community become more fire adapted. This text is prepared for the use of individuals conducting community assessments as a part of the Firewise Communities/USA Recognition Program. To qualify as a recognized Firewise Communities/USA site, NFPA's Firewise Communities programs asks you to document your investment in these Firewise efforts by tracking any expenses, grants received, and especially time spent by volunteers in making your community safer from wildfire. Learn what qualifies for matching funds for Firewise grants. This guide is provided as a general reference and resource for those interested or planning to become a recognized Firewise community. Upon completion of the recognition criteria outline in this application, please submit this for to your Firewise State Liaison for review and approval. Investing in local Firewise actions proves that your community takes wildfire safety seriously. Most western states have been experiencing drier-than-normal range conditions, and many regions are officially in drought. Conditions have been ripe for a major outbreak quite awhile. 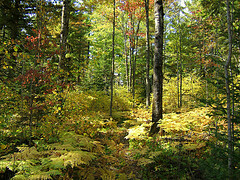 Forest*A*Syst is a self-assessment guide, designed for a national audience, with the goals of helping new forest landowners articulate their objectives in a written management plan and foster a working relationship with a resource professional who can provide them with technical assistance. The national document was intended to serve as a protocol for state forestry agencies to follow as they developed their own state-specific Forest*A*Syst document and programming. Only a few states adopted the concept and produced their own printed version of Forest*A*Syst. This publication is dedicated to the stewardship of Colorado’s forest lands – especially clean water. It outlines Best Management Practices (BMPs) for the protection of natural resources. The problem is all the people who don’t understand the body of science behind timber management and who become highly agitated whenever they see trees being harvested. Forest stewardship is the management of forest resources in a way that meets the needs of the current owners, but does not adversely affect use by future generations. If you own or manage forest land, you are probably concerned about keeping it productive and healthy now and in the years to come. Like many forest landowners, you may want to sustain or increase the economic value of your forest while protecting environmental assets such as wildlife and clean water. American Bird Conservancy (ABC), in cooperation with the American Forest Foundation, Forest Restoration Partnership, and several other partners, is working with private landowners to implement bird conservation measures in ponderosa pine habitat throughout the western United States. CP-33 Habitat Buffers for Upland Birds is available under the United States Department of Agriculture Continuous Conservation Reserve Program (CCRP). For decades, conservation easements have protected open space values such as wildlife habitat, ecological diversity, recreational access and aesthetics. When natural forests are threatened by deforestation or climate change, the best hope for the survival of certain at risk tree species may be to include them in agroforestry plots managed by small farmers, according to new research. Putting trees to work in conservation and production systems for farms, ranches, and nearby communities means planting the right trees, in the right places and in the correct design to achieve desired objectives. The use of wedges in logging has a long history. The mechanics involved are quite simple. Depending on the height and diameter of the tree, it is possible to fell it in a direction opposite of its lean with a wedge that gives no more than one inch of lift. Managing Competing Plants, Deer, and Light. Foresters and landowners alike desire alternatives to traditional silviculture techniques, and it may come as a relief to foresters and the public as well that there is an array of literature residing between the un-easy bookends of selection and clear cutting that remains to be written. A Prescribed Fire Association is a group of landowners and other concerned citizens that form a partnership to conduct prescribed burns. Prescribed burning is the key land management tool used to restore and maintain native plant communities to their former diversity and productivity for livestock production and wildlife habitat. Trees are being destroyed through the transportation of invasive insects & diseases in firewood. One of the most important things we can do to protect trees is stop moving invasive pests and diseases to new areas on firewood. It’s really that simple- don't move firewood, and keep trees healthy and alive. Forests are great places to play, but they also keep our air clean and our water pure. We must protect them by not moving firewood, so our kids, grandkids and great-grandkids can enjoy these amazing places like we do. The Don't Move Firewood campaign is managed on a day-to-day basis by The Nature Conservancy's Forest Health Protection Program staff. Don't Move Firewood as a whole was begun, and is advised, by the Continental Dialogue on Non-native Insects and Diseases. Select a state to get localized information. The purpose of this website is to provide information and tools to help advance commercial development of nontimber forest products (NTFPs) on small forestlands in the United States. For the purposes of this website, NTFPs are defined as all wild, wild-simulated, and cultivated native forest vegetation other than lumber and lumber industry by-products (e.g., industrial turpentine, plywood, sawdust, strand board). My Land Plan is a resource for woodland owners, by woodland owners to help you protect and enjoy your woods and is provided to you by the American Forest Foundation (AFF). AFF works on behalf of family forest owners around the country who want to ensure their woods stay healthy for all the reasons why we love woods – wildlife, recreation, solitude, a place to enjoy with family and friends. My Land Plan offers a unique and specialized set of tools to help you find, store and use material that is especially tailored to your needs and goals. To access these tools, you will have to sign up for an account and give us some basic information about your woods, which will be stored in a confidential, password protected site. Make a map of your land and mark special features such as trails, water bodies, good picnic spots or places where you're likely to see wildlife. Set goals for your land--such as increasing wildlife or building trails--and see specific steps to accomplish them. Access customized information about local government agencies, nonprofits and businesses that can help you with specific tasks and questions. Connect with other woodland owners who can offer you advice, ideas, inspiration and encouragement. Offer them the same in return. The Geospatial Data Gateway (GDG) provides access to a map library of over 100 high resolution vector and raster layers in the Geospatial Data Warehouse. It is the One Stop Source for environmental and natural resources data, at any time, from anywhere, to anyone. It allows you to choose your area of interest, browse and select data, customize the format, then review and download. This service is made available through a close partnership between the three Service Center Agencies (SCA); Natural Resources Conservation Service (NRCS), Farm Service Agency (FSA) and Rural Development (RD). The National Timber Tax website was developed to be used by timberland owners, as well as a reference source for accountants, attorneys, consulting foresters and other professionals who work with timberland owners by answering specific questions regarding the tax treatment of timber related activities. Click Here! TimberTax.com hosted by the National Woodlot Owners Association, which provides a current list of tax preparers with training in timber tax issues. The Arbor Day Foundation has created a tool that helps you find the best tree for your area. Just answer a few quick questions as to what you are looking for and the environment that you are in and the Tree-Finder will give you a list of suggested species. Click here. The Colorado Statewide Forest Resource Assessment was initiated in response to a mandate from the U.S. Forest Service (USFS) and contained in the Forestry Title of the 2008 Farm Bill. Estate Planning for Forest Landowners - What Will Become of Your Timberland? The purpose of this book is to provide guidelines and assistance to nonindustrial private forest owners and the legal, tax, financial, insurance, and forestry professionals who serve them on the application of estate planning techniques to forest properties. The 2014 Farm Bill Field Guide to Fish and Wildlife Conservation was prepared as an introduction for fish and wildlife conservation providers – the on-the-ground biologists and conservation partners who help deliver Farm Bill conservation programs to landowners. Do you have a plan for your family forest? A real estate investment trust (REIT) is a special tax entity investing in real estate (such as shopping malls, apartments, and timberland). This publication provides a quick reference on timber tax laws that are important to woodland owners. It presents concise and easy-to-understand explanations of issues related to woodland owners. Timber damaged or destroyed by hurricane, fire, earthquake, ice, hail, tornado, high wind and other storms are casualty losses that may allow timberland owners to claim a deduction on their federal income tax returns. One of the foundational principles of the U.S. Forest Service is water. This observation was made in reference to the impact of the Clean Water Act on the importance to watershed management within the national forests. The term “early successional habitat” describes the shrubs, trees, and other plants that grow back on the land after older vegetation has been removed or cut back. Recently I made a presentation to the Society of American Foresters (SAF) at their annual conference. My overall theme was that working forests, not wilderness areas and parks, are the prospective foundations of our prosperity in the 21st century. Most Americans think of New Jersey as the overcrowded land of turnpikes and oil refineries. The truth is much more diverse. New Jersey has a wide landscape, with a variety of forest ecosystems, from the hardwood forests in the mountains of northern New Jersey to the coastal-plain, pine forest ecosystems of the southern area of the state. If you’re interested in long-term woodlot management, this article investigates the benefits of silviculture and the idea that forest management considers the trees that are left growing after a timber sale are just as important as the trees that are cut. Almost everyone in forestry has heard of land trusts since they have become a common fixture especially in areas that are rapidly urbanizing. Colorado Springs Finishes Tree Canopy Assessment KRCC Colorado Springs has completed its first ever Tree Canopy Assessment. The city used aerial imagery to map its trees and found that the canopy covers. Sustainable Cattle Ranching in Colorado | Colorado Ranches Kiowa County Press What does sustainability really mean in cattle ranching? We discuss sustainable cattle ranching and ranches in Colorado that follow these practices. Colorado Company converts shredded trees to carbon product The Coloradoan BERTHOUD — James Gaspard points to a pile of charred logs, burned in the 2013 Black Forest fire, and says, "What else were they going to do with it?". High fire danger, blizzard warnings on same day in Colorado KRDO Only in Colorado can you get a blizzard warning in the weather forecast, on the same day part of the state experienced record high temperatures. Seaman Fire: 150-acre blaze prompts voluntary evacuations, threatens homes, Poudre River The Coloradoan The Seaman Fire was about 150 acres and 25 percent contained as of 5 p.m. Wednesday, according to the U.S. Forest *Service*. Colorado\'s 2018 Wildfire Season is One of the Worst on Record, and it\'s Not Over Yet Government Technology The only larger wildfire season in Colorado in terms of acres burned was in 2002, when 926502 acres were destroyed. Wildfire Air Support Is More Than Choppers And Tankers. Colorado Has Smokejumpers Too Colorado Public Radio Air crews say that this fire season started a lot faster and harder than expected. Colorado's 416 Fire raises wildfire uncertainties Yale Climate Connections The flames still raging in Colorado's 416 fire are raising questions and increasing concerns as firefighters weigh options ahead in a warming climate. Evacuations ordered for Lake Christine Fire at Basalt, Colorado Wildfire Today Above: The Lake Christine Fire, Wednesday night. Photo: Katie Baum Hueth, Eagle County Sheriff's Office. (UPDATED at 8:19 a.m. MDT July 5, 2018). Update: People return to homes, businesses as 416 Fire slows Farmington Daily Times The 416 fire near Durango, Colorado, will start showing more activity now that things are drying out. San Juan National Forest reopens this afternoon. Stage 1 Fire Restrictions Start Friday For Several Colorado Counties KUNC Fire season is underway in Colorado. Fire restrictions are in place in several counties, with more going into effect at the end of the week – including. Teller County residents organize April 13 Community Wildfire Preparedness Fair Colorado Springs Gazette In a county that has suffered the effects of three catastrophic fires in less than two decades, the Community Wildlife Preparedness Fair comes at a critical time.